VetroBlu is an exciting development consisting of luxurious, stunning ocean view of different type of bedroom apartments with spacious open plan design combined with high quality finishing throughout; each apartment at VetroBlu also comes with its own private balcony. 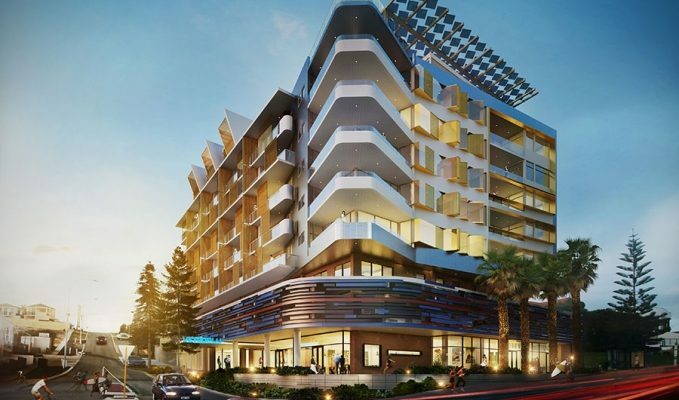 Pyramid constructions is building VetroBlu Apartments in Scarborough with the Client and Design Team to achieve a design and budget outcome to enable to proceed to construction that has commenced in April, with the demolition of the existing structures. Designed with sustainability in mind.Vetroblu has a rooftop canopy of photovoltaic panels that can be seen from the steel level.